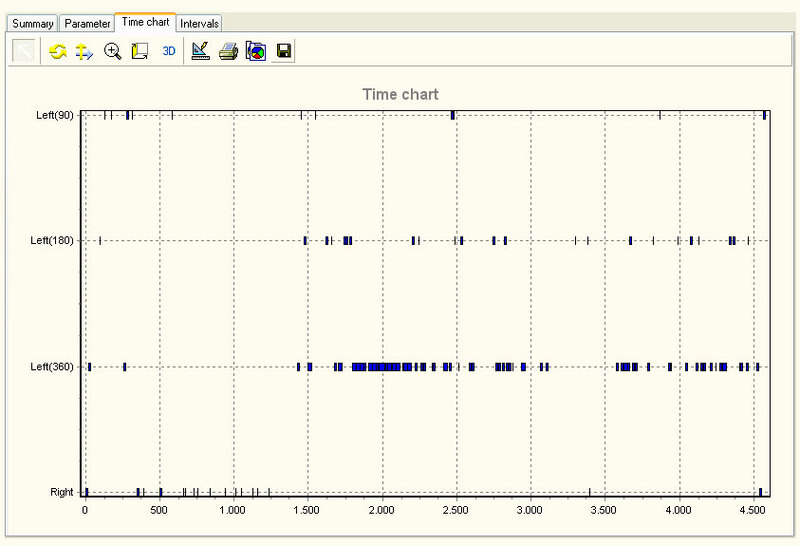 The following figures show how the rotation data are presented after the experiment. Of course all data and graphs can be exported. 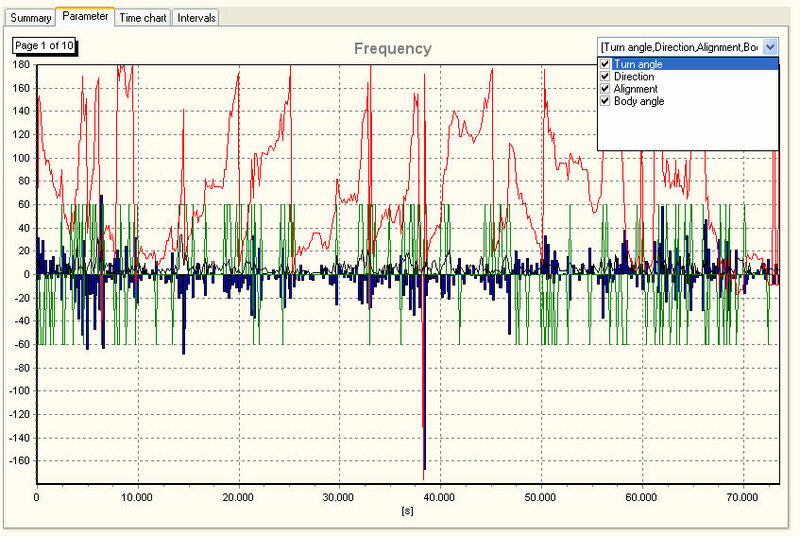 The data can also be reanalyzed easily with different filter settings within seconds. 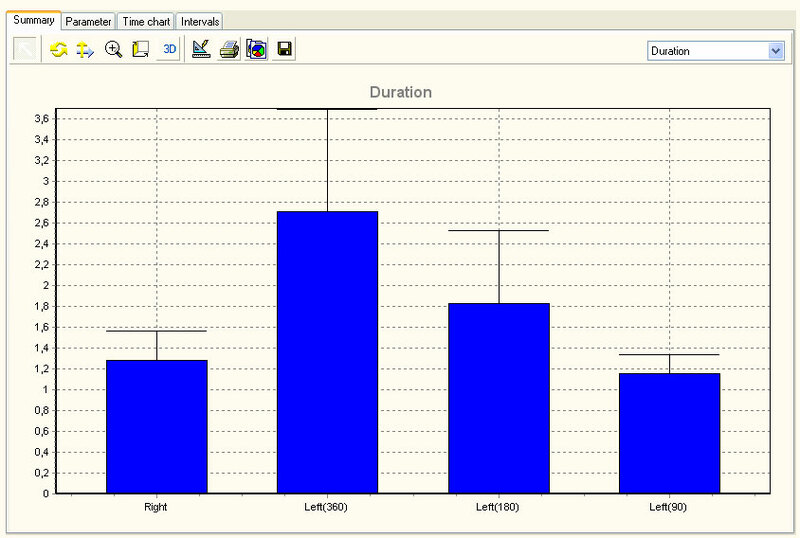 The above chart shows some of the parameters for each frame of the video analysis. Occurance of each rotation type during the experiment. The average duration of each rotation type incl. standard deviation.